Onin Staffing of Neosho, Mo. 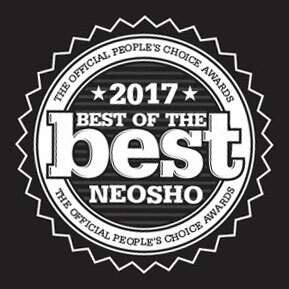 ranked first place in the Neosho Daily News’s Best of the Best Readers’ Choice Award as the area’s employment agency of choice. The Tri-County area public voted on their favorite local services, from restaurants, to shopping, to home maintenance. We are passionate about investing in the communities we are a part of, and we believe it’s critical to develop great relationships with the best employees the market has to offer. Onin offers the industry’s most comprehensive array of benefits for our Teammates, including a liberal vacation and holiday pay plan, robust healthcare benefits and the Endeavor Scholarship program for continuing education. Treating people well and approaching our relationships with a heart of service is simply the right thing to do, so that’s where we start. We’re proud to be the number one choice in employment opportunities for those in the Neosho area.